Catfish Charters offer scheduled and private fishing charters to some world class reefs and game fishing off Bargara and Bundaberg in Queensland. We fish numerous wrecks, gutters, ledges, reefs and shoals in the Great Sandy Straits and Southern Great Barrier Reef Marine Parks. In these waters we target – Black King Emperor, Snapper, Coral Trout, Travelly, Sweetlip, Spanish Mackerel, Tuna, Hussar and many more. Our long day charters can reach Lady Elliot Island, top of Frazer Island or even Lady Musgrave Island all situated in the great barrier reef marine park. This is a 5 hour trip starting when you need from 6am but returning no later than 6pm. 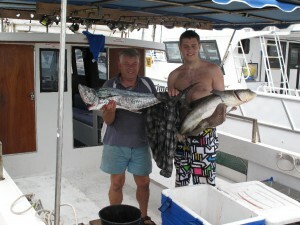 We try to keep the travel time to no more than 30-40 mins in order to maximize the fishing time. For this trip we use squid and Pillys as bait, tackle and all gear is provided, but of course you are more than welcome to use your own. Tea, coffee, water, cordial and biscuits are included and you are more than welcome to bring your own. As with the 5hour trip the starting time is upto you but no earlier than 5am and returning no later than 6pm. This gives approximately 7 hours of fishing. We can spend upto 1 hour travelling in each direction but we also stop at various spots along the way. On calmer days we can go out further to some of the gutters and holes offshore. For this trip we use squid and Pillys as bait, tackle and all gear is provided, but of course you are more than welcome to use your own. Tea, coffee, water, cordial and biscuits are included and you are more than welcome to bring your own. As with all our trips the starting time is up to you, but no earlier than 5am and returning no later than 7pm. This gives you approximately 10 hours fishing time. Dont forget your lunch as only tea, coffee, cake and biscuits are supplied. On this trip we use up to 2 hours travelling time, including stops along the way. With the extra time and weather permitting we can get out to the deep gutters and holes along with getting to Elliott and Fraser Islands. This trip allows you to sample elements from the above but with a later returning time lets you try night fishing on wrecks and reefs. 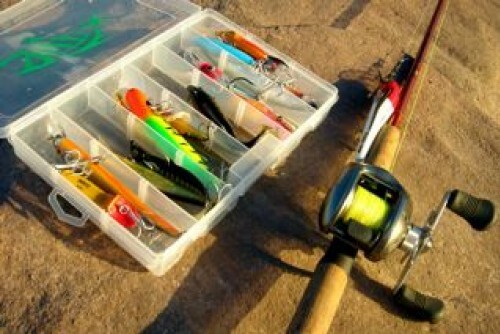 Inclusions: Quality rods & reels, tea, coffee, cake, water, bait etc. Catfish Charters was founded to show anglers what this region can offer. Dave is your skipper and have had over 40 years experience in the industry and unbeatable local knowledge and has been running charters since 2001. 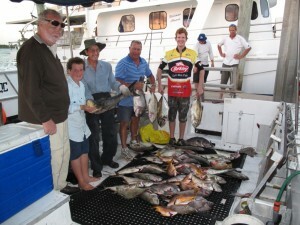 Our fishing trips cover the local area where there are gutters, reefs and shoals only a few miles offshore. You will also be able to explore some of the wonders of the Coral Coast, Great Sandy Straits, and the Great Barrier Reef. 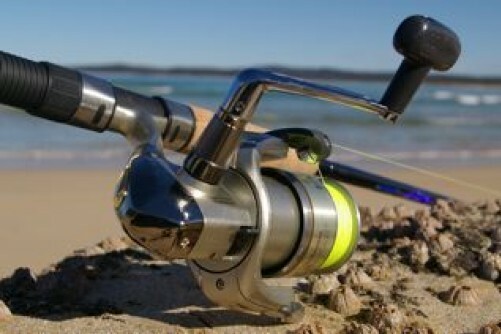 We supply all fishing gear but you are welcome to bring your own. We also supply tea, coffee, biscuits and bait you only need to bring your lunch and other things for the trip including hats, sun glasses and jacket for the cooler months. You can bring your own alcohol but only reasonable quantities. Our boat is a Cougar Catamaran, Catfish is 11m with a beam of 3m. We have a 2c survey and are licensed to carry 12 people upto 100km offshore. The rear deck is 5m long and is covered by a sun awning. She is powered by 2 BMW turbo diesels and can cruise at 16-18knots with a range of over 200miles. To forward is a toilet and large cabin with seating for 12 and all the modern electronics and communication equipment. We take safety very seriously and also carry an oxygen provision unit. Skipper Dave has both a Master class 5 and MED1 marine licenses and is a maritime teacher at a local TAFE when not out on the water.